Bonn, 3 April 2019 - The Circumpolar Seabird Expert Group (CBird) under the Arctic Council Working Group for the Conservation of Arctic Flora and Fauna (CAFF) came together for its annual meeting at the CAFF Secretariat offices in Akureyri, Iceland from 26 to 29 March 2019. 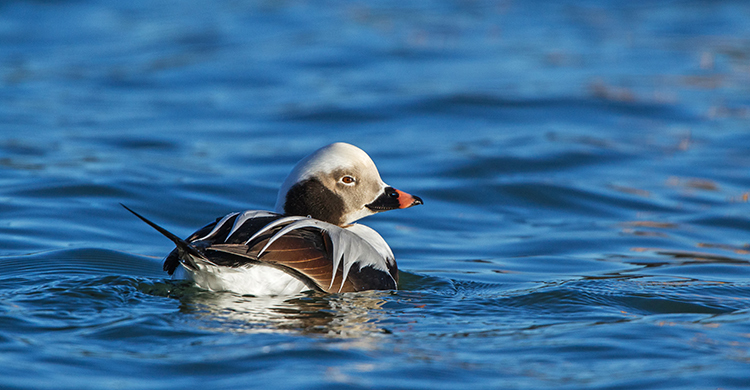 CBird promotes, facilitates, and coordinates conservation, management and research activities among circumpolar countries and improves communication between seabird scientists and managers inside and outside the Arctic. The group consists of national representatives, Permanent Participants , observer countries and organizations. Items covered during the meeting included a wide range of topics such as country updates on ongoing seabird research activities, bycatch of seabirds in lumpsucker fisheries, the development of a North Atlantic Murre harvest model, marine protected area planning, risks posed by shipping to seabirds in circumpolar regions, seabird–Polar Bear interaction, cooperation with indigenous people and local communities as well as cooperation with AEWA and the implementation of the Arctic Migratory Bird Initiative (AMBI). Globally, seabirds are one of the most threatened groups of birds in the world and of the 85 species covered by AEWA, 16 are on the IUCN Red List, listed as either Vulnerable or Endangered, and a further 11 are ‘Near Threatened’; and the global population of 39 AEWA-listed species is in decline. As a result, AEWA Parties adopted a set of initial priorities for seabird conservation at the 7th Session of the Meeting of the Parties in December 2017 through Resolution 7.6, with the aim of tackling threats including human impacts on prey (forage fish, ecosystem impacts), bycatch in fishing gear, harvesting by humans, predation by invasive species and mortality from oil spills and contaminants. These broad priorities now need to be further fleshed out by the AEWA Technical Committee. It is in any case clear, however, that collaboration with a wide range of stakeholders and experts, such as CBird, will be essential in delivering on seabird conservation across the AEWA range and also to ensure that AEWA brings added value to ongoing work. “Many of our seabird populations are declining, and the challenges they face – such as climate change, diminishing food resources, bycatch and over-harvest – are daunting. Under AEWA we look forward to collaborating more closely with various stakeholders throughout the flyway such as CBird, which is already delivering on coordinated research and conservation of Arctic seabird species” – AEWA Executive Secretary, Dr. Jacques Trouvilliez. Meeting outcomes included an agreement to increase communication between the AEWA Secretariat, CBird and the CAFF Secretariat, particularly on issues of common interest such as the current work under CBird on the development of a circumpolar Action Plan for the Black-legged Kittiwake (Rissa tridactyla) which is also an AEWA priority species. Other topics include seabird bycatch (in general but also linked to the implementation of the AEWA International Single Species Action Plans for the Long-tailed Duck and the Velvet Scoter) as well as in relation to the broader work expected to take place under the AEWA Technical Committee on the seabird conservation priorities adopted under MOP7. “It was a very productive meeting, and we are making very good progress on our workplan items, as well as on communications and cooperation with CAFF, CBMP Marine and AMBI. We look forward to increasing our communication with AEWA as well.” – Dr. Mia Rönkä, Chair of the CBird Group. For more information, please contact the Chair of the CAFF CBird Group Dr. Mia Rönkä or AEWA Associate Programme Management Officer Ms. Nina Mikander.